One of the best parts about leaving my corporate world career behind to enter the wedding industry has been meeting fellow creative small business owners and learning more about how their businesses were born. I’m particularly fascinated with businesses that seem to take off quickly. In the DC Metro area, there is no shortage of weddings and certainly no shortage of wedding professionals. So, what is it about one business that makes it take off versus another that has a much slower start. Meet Jenna Shellhammer. 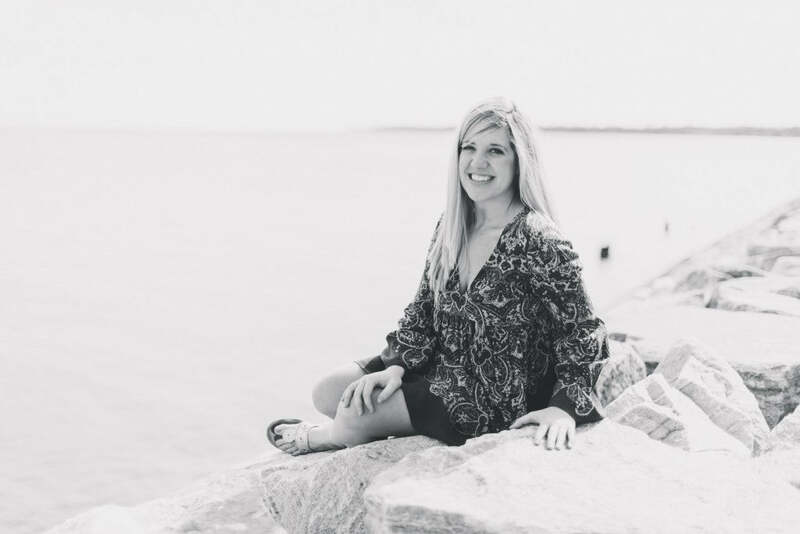 Her Baltimore-based business Pop the Cork Designs has literally exploded within the last year so I was excited to snag a couple of minutes of her time and share with you her thoughts on starting her business and the keys to her early success. Q: So, why wedding planning? A: I started this journey in high school while working for the Annapolis Yacht Club doing events and catering. I realized very early on that a planner is a necessity to any party. Q: What experience did you have that prepared you for starting your own business? A: After I graduated from JMU I worked for Lemon and Lime event design helping them with there day of coordination and fell in love. At the time I working for a HR company in Baltimore CIty and I new after a few weddings that processing payroll was not for me! I bought a domain one day sitting at my desk at my corporate job and then the rest is history! Q: Why is it called Pop the Cork Designs? A: Honestly I am not sure. I researched for days and knew I didn’t want my full name because that would one day change and played with a few different names but ‘Pop the Cork’ stuck. Q: What’s the toughest part of owning your own planning company? A: Juggling 14 weddings at once. I have come to realize I am not just a planner or a designer. I am a best friend, a punching bag and a therapist. Planning is not easy and you really have to put your foot down or otherwise you may get walked all over. Q: What’s the most rewarding part of the job? A: Seeing my client happy. I really focus on client relationships and invest friendships in my brides. There is nothing better then seeing them happy. Q: Your business has grown rather quickly! What do you attribute that to? A: Social media. Staying up to date with social media is huge and networking. There are so many people in this industry so I love hearing about their business and learning from them. Q: If you could plan any couple's wedding, who would it be and why? A: I would have loved to of planned Jackie O’s wedding. Her style was gorgeous and so similar to my aesthetic. Q: What trends do you see as being the biggest for 2015 weddings? A: Calligraphy, loose florals, lucite chairs. Q: What advice would you give to other brand new planners just starting out? A: Go for it! You have no idea what you can do until you try! Are you a wedding planner searching for the best way to welcome your new couples? We have so much to talk about! Note: Post originally written as a guest blog for The DC Ladies.